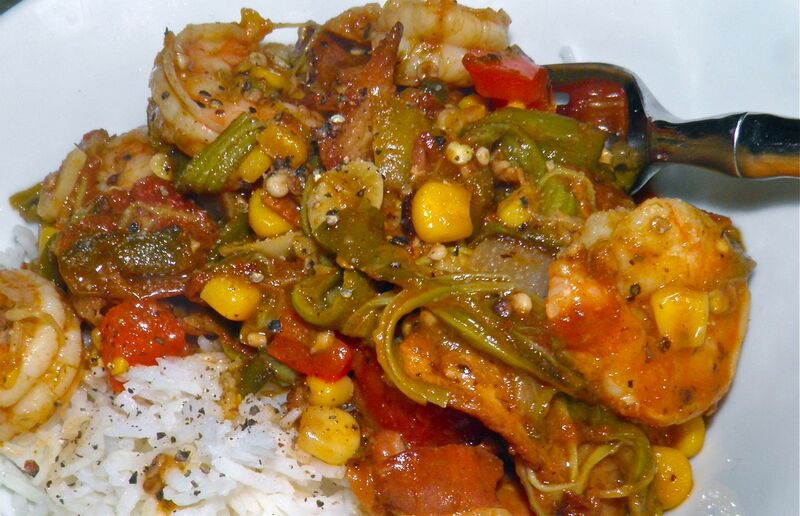 Think gumbo, but without all the liquid. Okra fried in bacon fat. C'mon, what could be better? I mention pumpkin because I hate having to buy a whole can to use only a cup. They only sell pure pumpkin in large cans in our local groceries. Great if you're making a pie. Not so great for almost everything else. You have to force yourself to use the rest or it goes to waste. The ingredient that I’m talking about this time though is okra. Although it wasn’t on special, a few weeks ago one of the groceries had the best looking pods I had seen in quite a while. So I purchased a rather large bag. 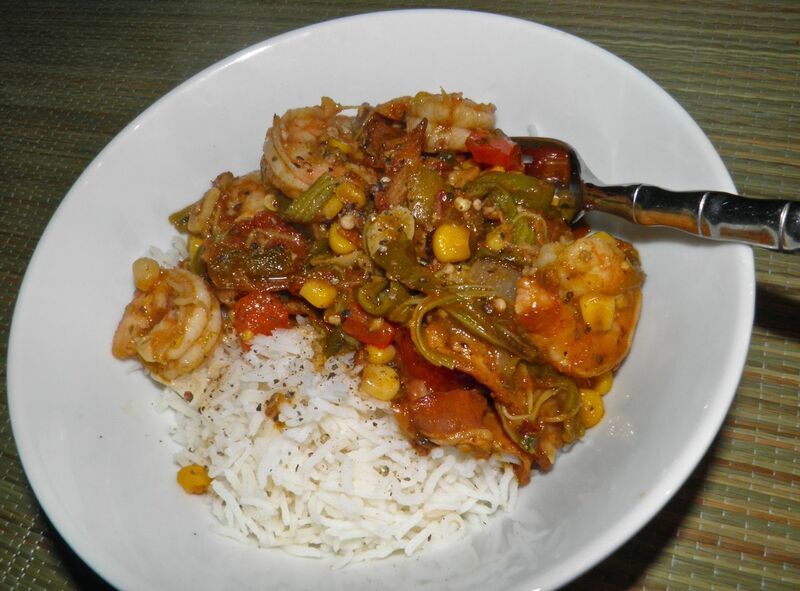 Okra is a hit and miss vegetable at the grocery store. If you can find it fresh it may not look all that good. If it isn’t fresh you have to settle for frozen pieces. So why not freeze whole at home, when you can? The thing I don’t like about the frozen from the store is that what we have here is pre-cut into 1/2” pieces. If you want something larger you’re out of luck. I used 1/3 of my purchase fresh (in this recipe) and have two frozen bags waiting for Cajun-style somethings later on. These were on sale for 99¢ too. This recipe is a bit different than a gumbo, which you may be familiar with. There’s no liquid, and hardly any sauce. But all the gumbo flavours are here. A real bonus of this recipe is that it takes about the same length of time as most rices takes to cook (20 minutes). I don’t know if I’ve ever written this out before. It’s about cooking rice. Most rice (jasmine, short grain, long grain, basmati) cooks in 2x its volume of water for 15 minutes and then sits for 5. For example, for rice for four people, 1.5 cups of rice + 3 cups water, and some salt. It’s as simple as that. Hope you like this recipe. I love the smokey taste of fried okra. Cut the bacon slices into quarters. Fry the bacon in a Dutch oven or other heavy-bottomed pot with a lid until browned. Remove the bacon, leaving the rendered fat behind. 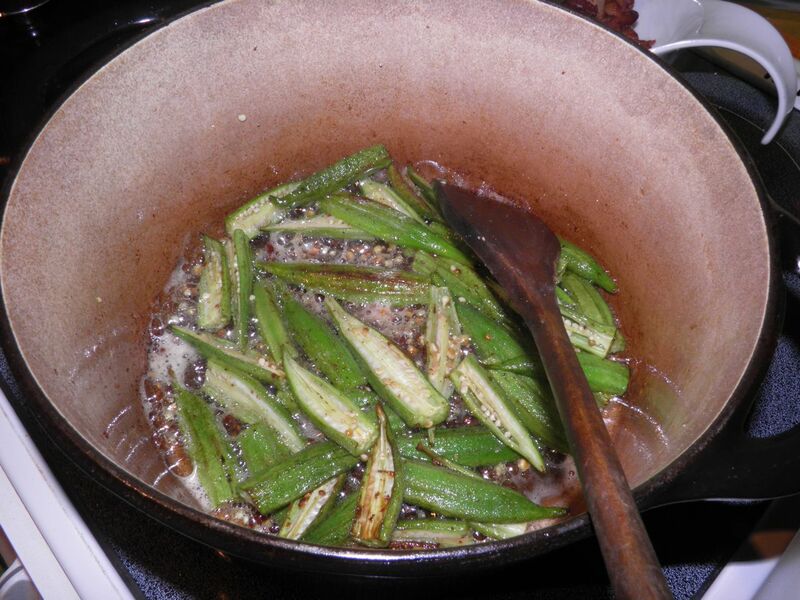 Add the okra and fry until browned. Then add the garlic, onion, jalapeno, red pepper. and salt. Cook until the vegetables have softened slightly. Mix together the spices for the creole spice mix. 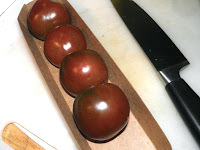 Add tomatoes, water, and corn kernels. 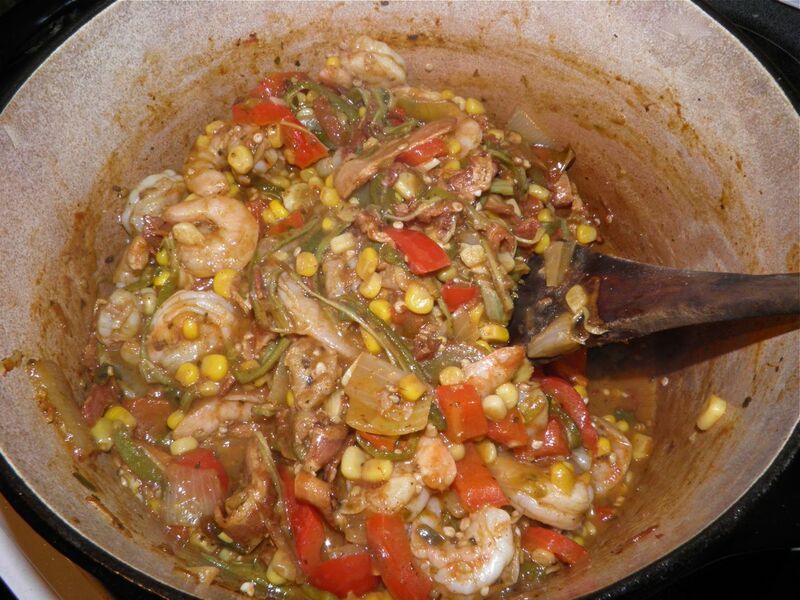 Sprinkle with the creole spice. Cook for 5 minutes more, until tomatoes begin to beak down. Add the shrimp and let cook until just done through, about 4-5 minutes.